Today we have a nice post about animals -- and amazing pictures! -- from Nina Croft. 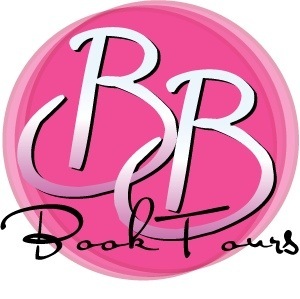 Nina is the author of a variety of paranormal titles and she's on tour promoting her latest release, OPERATION: SAVING DANIEL from Entangled's Covet line. Please join me in welcoming Nina to the blog! I grew up in a small town in the north of England, and all I ever wanted was to live in the countryside and have a pony and lots of other animals. I never really grew out of that, but life took me first to London, then Africa, then a few years of travelling whenever we could find the time and the money. Pets weren’t really an option. When we finally did decide to settle down, we chose an almond farm in the remote mountains of southern Spain. I have to admit that we don’t actually do much farming (almond prices are so low that it’s a pointless exercise) but it has given me the opportunity to live out my childhood dreams. What do I do when I’m not writing? I read a lot. In the summer quite often floating on the pool. In the winter cuddled up in front of a big log fire. But when I’m not reading or writing, then I spend time with my animals. So I thought maybe I’d talk about them today. Gencie is an only horse, and because I didn’t want her to get lonely, she has two pet goats, Tigga and Blondie. Both were rejects from our shepherd neighbor, abandoned by their mothers, and bottle-fed by me. I consider goats to be close relations to Satan, but Gencie quite likes them. Much of my time when not writing is occupied by chasing them around the mountainside as they are both escape artists and spend their lives plotting how best to get over, under, or through the fence. Then there are the dogs. I have three, Lola, Pinkie and Grunt. Lola we got as a puppy; she’s big and brown and part wolf. Pinkie is a rescue dog and a real cutie, and Grunt turned up one morning and refused to leave. Eventually we decided it was easiest to let him stay, because really he is the best dog ever (but don’t tell the others I said that). The dogs will interrupt my writing every few hours with nudges to let me know it’s time for a walk. Next are the two cats, Poppy and Ginger, who only hold up my writing when I have to pause and remove one of them from my keyboard—obviously a cat’s idea of a perfect sleeping spot. Finally, there’s Piggles, my three-legged Vietnamese potbellied pig. Piggles is a total sweetie. She has her bed across the room from my computer, where she’s quite happy to sleep most of the day. Occasionally, she’ll wake up, roll over, and suggest (quite loudly) that I stop writing, get up, and tickle her tummy. Usually, I oblige. So that’s what I do when I’m not writing. I ride the horse, chase the goats, walk the dogs, move the cats, and tickle the pig. Do you have any animals, and if not why not? Thanks so much for visiting us, Nina! 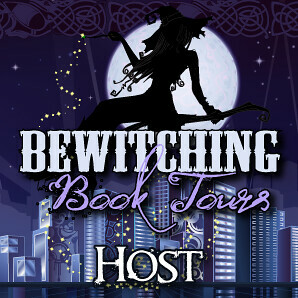 To get more Nina, check out the links below or follow the rest of the tour by clicking on the tour banner. Nina is giving away $25 Amazon gift card to a lucky tour follower. Just obey the Rafflecopter instructions to enter! Thanks for hosting me (and all the animals)! 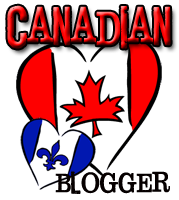 Thank you Nina for the blog and the snippet! Me neither, Julie. But I also accept how incredibly lucky I am to be able to have them all in my life! Great snippet! I'd love to read more! Sorry about the allergies, Eva! And thanks for the lovely comment! Thanks for the awesome post and giveaway! Loved the post. I don't have any animals right now, but I previously had three cats which have all passed on. I have been taking my time adopting new kitties, but I will soon.